This is definitely one of those posts where I say to proceed with an open mind and form your own opinion. This is solely my opinion, and I am saddened that the below is true. But….it is. There is this restaurant that I have heard absolutely nothing but brilliant things about in Asheville. In fact, I had been planning our day specifically around making it to Tupelo Honey Café. Due to the busyness of downtown that particular Saturday, there was about an hour wait for a table. This isn’t too bad considering we heard it is always like this at the downtown Tupelo. When our pager went off, we were seated at a little table mushed up beside the wall, under a mirror, extremely close to another table. You really felt like you couldn’t have a private conversation without everyone hearing you. We had two different people come up to our table, and I’m still not quite sure who our server was. There was absolutely no warm and fuzzy interaction with our server(s). However, the table next to us, had amazing service…we could have just had a server with a bad day. Hey, it happens. 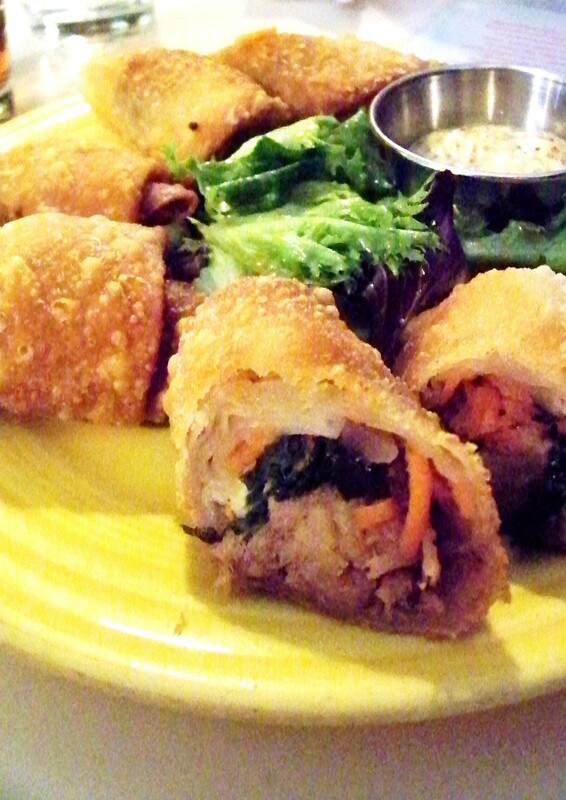 We ordered the BBQ Egg Rolls as an appetizer. They were actually quite decent. The flavor was great, and yes, we would order those again. Next came the main courses…ugh. I ordered the Not Your Mama’s Meatloaf, and the hub ordered the BBQ Plate. Now, let’s talk about this. The hub and I live in the heart of BBQ country, and this certainly wasn’t the right decision for people that truly adore BBQ, to order it away from home. The BBQ on the BBQ plate seemed to have been sitting in sauce/water/juices all day. There wasn’t a strong smoke flavor, it was dripping with wetness, and had globs of fatty pieces in it. The corn on the cob that came with it was pretty tasty, and the greens were interesting. On the meatloaf…maybe it’s because it wasn’t my mama’s meatloaf (or the hub’s for that matter) could have been the reason why I didn’t really enjoy it. The sauce on it had a very interesting flavor profile, and the actual meatloaf itself was lacking some kind of flavor, moistness, something…wish I could put my finger on what it was lacking. It was just something kind of off with it. On the bright side, the mac and cheese that accompanied it was delicious, but the other side…let’s talk about that now… I understand that it had a “Chef’s choice seasonal side”. I get that…truly do. It’s not my choice, it’s the Chef’s. But, if I truly don’t want asparagus, and I am paying upwards of $10 to $20 for my plate, I honestly really want to trade out my asparagus side….also, if the server is going to tell me in a rude fashion “NO”, that I cannot trade my side, you’re kinda going to leave an even worse taste in my mouth about the situation. Final Summary…Maybe we just ordered the wrong items…maybe the server was having a crappy day…maybe the Chef was a little off that day from it being incredibly busy. The heart of the employees we interacted with just wasn’t there. Honestly also….MAYBE I’d try it again next time just to give it a fair chance, and I’d certainly order something different. There has to be something amazing about the place for me to have heard so many wonderful reviews on it, right? Now, I just have to find that something amazing on our next trip up there………. <—– Did you see this? This is a great grade from Urbanspoon! There must be something I’m missing!?!?!? Previous Post My New Project! Fresh. Local. Good. food group Blog! We had the same experience when we ate there. To top it off, we were seated outside (after waiting an hour and a half, the only seats were on the patio) and DH got a pigeon feather in his tea. Nothing like a nice feather floating down into your glass. We were afraid something else from the pigeons roosting above was coming down! LOL! It’s crazy how things can be so different than the word of mouth you receive. Very disappointing. Thank you, Tamara! It’s certainly something that we MAY try out again. I just have faith that it is better than it was this one time. Granted it has been many years ago, but after touring the Biltmore House, we had lunch in a restaurant that had been the old carriage house. The food was fantastic and the service impeccable, in spite of the busyness. I understand they have expanded the dining options since my visit. I’ve been to Tupelo Honey twice. I live in Asheville, and work in the food industry. Your impressions were not off. There are far better dining options in this town! That’s so sad, as the place sounds like it could be so very lovely. On to better experiences! The Tupelo Honey in Skyland is very good. We have always had great service and food. 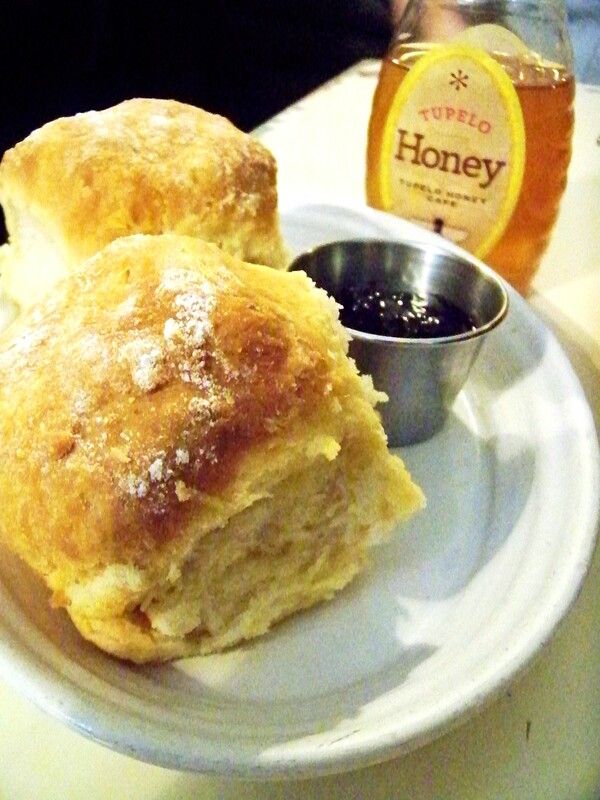 I live in Asheville and have had many visiting friends wanting to go to Tupelo Honey. I’ve yet to have ONE good experience. It’s not just you. I don’t know why people bother with the wait, crowded atmosphere and spotty service. Like another reviewer said, there are SO many other places – better places – in Asheville. Even next door – Mayfels, or around the corner, Early Girl Eatery are both better places than Tupelo Honey. Don’t go back, you’ll probably not be impressed… try something new!! You’re right, Elaine. There are tons of places there! 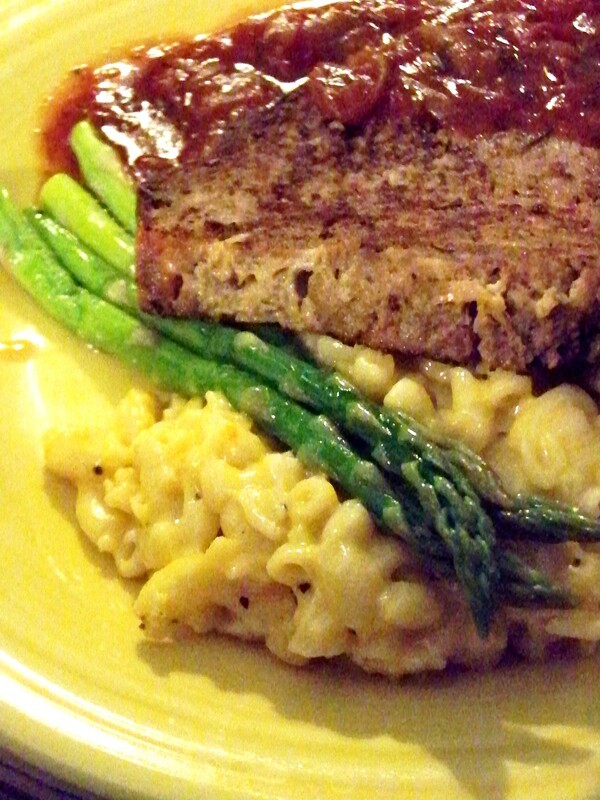 You need to try Stoney Knob Cafe in Weaverville. It was outstanding! My wife and I ate there for the first and likely the last time tonight. Family had been visiting and wanted to go there but never made it. We had to be in Asheville today so we tried it. Most of what we had was OK but no more than that. The meat loaf was dry and crumbly and over cooked (burned) on one side. The biscuit was doughy not flaky, etc. Based on this experience I am baffled as to how it could be considered #1. Sadly, I completely understand the sentiment, David. Next time you’re in Asheville, head over to Weaverville and eat at Stoney Knob Cafe. You will love it!